"Everything is new here, it’s state-of-the-art,"stated Nora Bonvissuto, materials manager and certified surgical technician at Ridgefield Surgical Center, a joint venture with Danbury Hospital and physicians, and a growing facility in the Connecticut area. At this newly-established venue, however, the surgical staff heralded from anywhere ranging from California to next door at Danbury Hospital—and every surgeon had his or her own preferences and demands when it came to instrumentation. "We were being asked to duplicate instruments from other hospitals that the surgeon’s had used previously," said Bonvissuto. This presented a particular challenge. 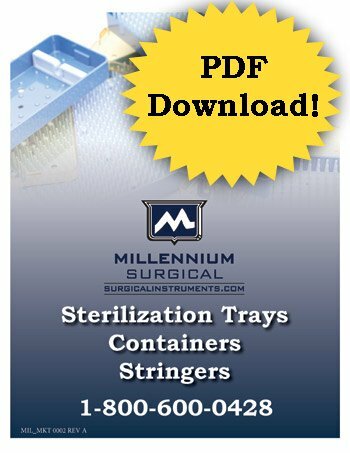 She needed to accurately satisfy each surgeon’s needs and create customized instrument trays from scratch, yet the language that the surgeons used to describe surgical instruments was anything but standardized. In fact, it turned out that the names of surgical instruments are dictated more by vendor branding and regional colloquialisms than anything else. "Even from the West Coast to the East Coast, the same instrument is called something completely different. Depending on where the surgeon trained, each one referred to the instruments as something else," she explained. She also found that, from vendor to vendor, companies have their own sets of names for products, further impeding her search. To make matters murkier, the surgeons sometimes were only able to recall part of an instrument’s moniker, such as a truncated nickname, and resorted to contorted hand gestures and sketches to describe their requirements. Not much to go on, considering the crucial role these devices play in the OR. Case in point: Danbury surgeons requested a "Whirlybird," a surgical device used in middle ear procedures. The instrument was available in left and right versions, for each ear. That was the extent of the description she could extract from the staff. She referred to catalogs, but as any mail-order shopper can attest, the images in the books frequently were not representative of the actual implements as the surgeons remembered them. She and the surgical staff were stymied. Similarly, surgeons were asking for an instrument used for skin retraction that was simply known as a Bear Claw. After returning to her surgeons several times with potential examples from reference materials, they still couldn’t find the right instrument. It occurred to Bonvissuto that she might benefit from someone with more specific expertise in instrumentation, which due to these very kinds of complexities, is often an overlooked requirement of equipping a new center. She turned to her account rep. at Millennium Surgical Corp., a supplier of surgical instruments. CEO Robert Edelstein took on the challenge himself. Edelstein has more than a decade’s experience equipping new centers through both Millennium and his equipment consulting firm, Streamline Surgical Solutions, which specializes in supporting new facilities in sourcing instrumentation. He has helped open more than 15 centers across the country in the past six months alone. "They were extremely accommodating," said Bonsvissuto. "It took a lot of back and forth. I sent Rob drawings, and gave a lot of weird descriptions," (some as non-technical as Remember those old metal rakes, with the ends that turned up?). "Rob was determined to find what I was looking for, and he had the kind of broad-based expertise that was required to do it." 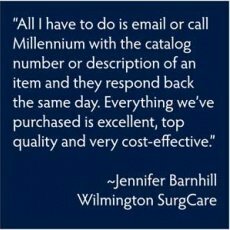 Millennium went as far as to send Ridgefield Surgical several sets of instruments that they thought might be correct, until finally hitting on the equipment in question. 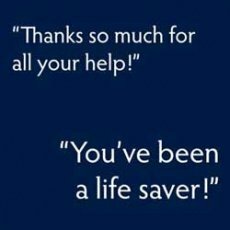 "It was a big relief to find someone who could offer up that kind of experience with instrumentation. They’re always very helpful, but this was an extreme situation," said Bonvissuto. After much collaboration, Millennium and Bonvissuto pegged the "Whirlybird" as an instrument called an Austin Excavator, used in ear surgery; and the "Bear Claw" was identified as a Jack Anderson Retractor. (These are one of the names each instrument goes by, in any case.) 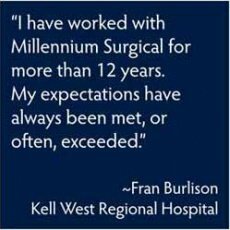 In addition to these more challenging requests, Millennium supplied Ridge-field Surgical Center with close to $300,000 in surgical instruments upon the center’s opening. "Instrument sourcing is one of the most complicated aspects of equipping a facility," said Edelstein, "so much so that most equipment planning companies don’t even offer it. Therefore, it usually falls to in-house personnel, who have to pour through a very daunting range of technology from a slew manufacturers.The Ridgefield case was a perfect example. 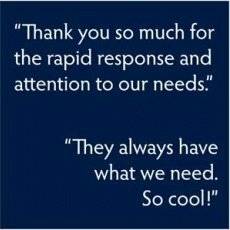 Not even the most highly-trained me dical personnel can be versed in every vendor, every instrument and every brand on the market. It’s not an effective use of their resources." 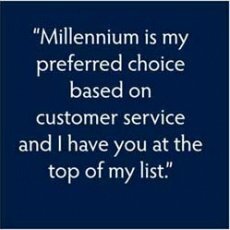 Specialized suppliers like Millennium are the rare avenues for this kind of niche expertise. 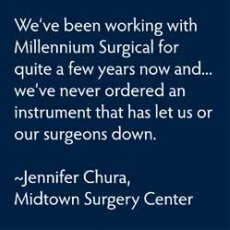 Millennium now refers to its free support service as its "Instrument Guru" offering, in which experts in surgical instrumentation field calls and questions submitted online. 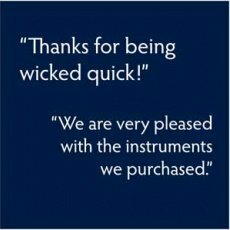 They provide exhaustive support in identifying any instrument, with even the slightest hint of a description. 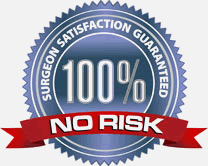 In fact, purchasers are invited to "Stump the Guru" on www.millenniumsurgical.com, with a reward of a Barnes & Noble gift card for any instrument their experts can’t identify, whether it’s offered through Millennium or not. 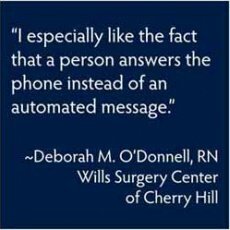 Ridgefield’s wasn’t the only surgical staff thwarted by requests for instrumentation that consisted of only brief references. A surgical nurse at a center in Madison, WI, was tasked with setting up instrument trays for use in podiatry. The surgeon’s list of demands included "Jorgen Balls," a type of equipment used with K wires. The center consulted with an Instrument Guru at Millennium, who had received a similar request from another hospital in the Wisconsin region. 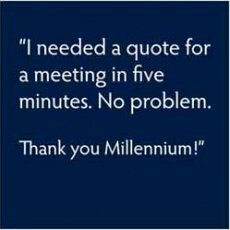 Millennium networked together with an adminsitrator at a second surgical facility, in Wisconsin Rapids. After comparing notes, both centers were able to locate the Jurgan Development & Mfg company of Madison, WI, which offered the instrument in question (Jurgan Pin Balls, surgical pin protectors for the ends of K wires and external fixator pins). "When in doubt, it’s terrific to have such a knowledgeable partner as a resource," Bonvissuto said. "I’d recommend the strategy to anyone: Work with your partners."